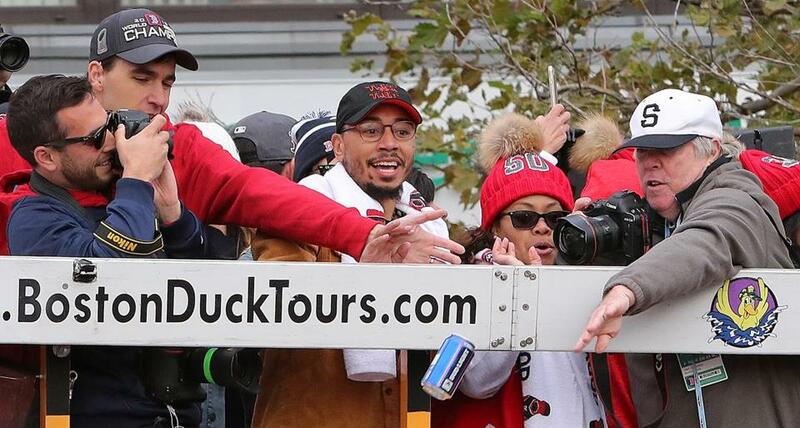 The Globe’s Stan Grossfeld batted away a beer from one of the duck boats in October. 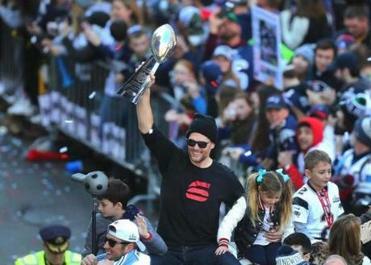 There will be no light beer — or any other alcohol — publicly distributed or consumed during Tuesday’s victory parade through Boston for the Super Bowl champion New England Patriots, Mayor Martin J. Walsh said Monday, despite a social media post that suggested otherwise. Walsh said police would seize alcohol from anyone caught drinking in public and could arrest violators. He also asked fans not to throw beer cans or other projectiles, citing the cans that struck Red Sox manager Alex Cora and a World Series trophy at the team’s November parade celebrating its series victory. Representatives for Bud Light’s parent company, Anheuser-Busch, did not respond Monday to a request for comment.